Ragna Debats, from the Netherlands, will be entering the 34th Marathon des Sables in Morocco in April 2019. 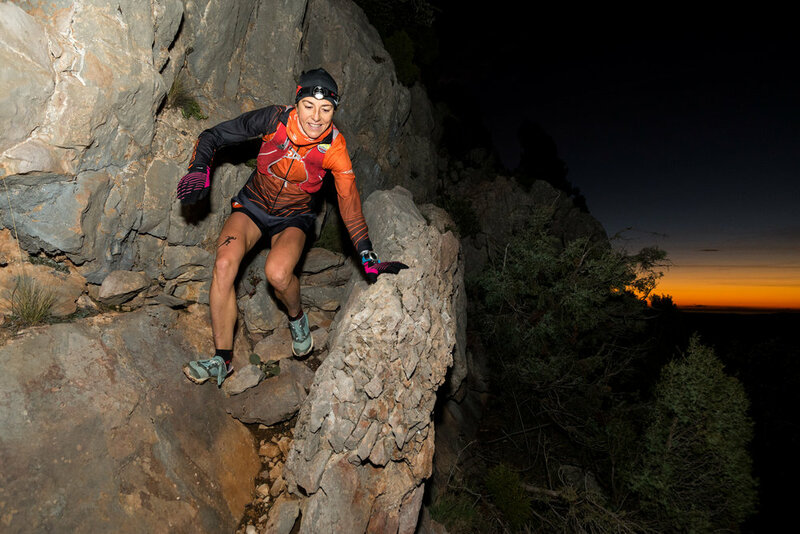 She is an extremely accomplished ultra-runner who in the past few years has won a number of world and other championship titles in trail running and sky running. She is also a champion snow-shoe runner. This is her first multi-day race in a desert. The Marathon des Sables, the original multi-day desert run, has been staged since 1984. Set in the south of Morocco, the race sees six stages over seven days, including a full marathon of 42 kilometres and a ‘long day’ of around 75km, covering approximately 250 kilometres in total. This year the event will be held from 5th-15th April. There will be approximately 1000 runners. You can follow Ragna - @ragnadebats See more information about the Marathon des Sables. Ragna Debats has a crop of world and other ultra-running championship titles to her name. In 2017 she won the European ultra distance Skyrunning champion, at Val d’Isere’s Ultra SkyRace, and in 2018 she took the International Skyrunning Federation world championship at the Ben Nevis Ultra. 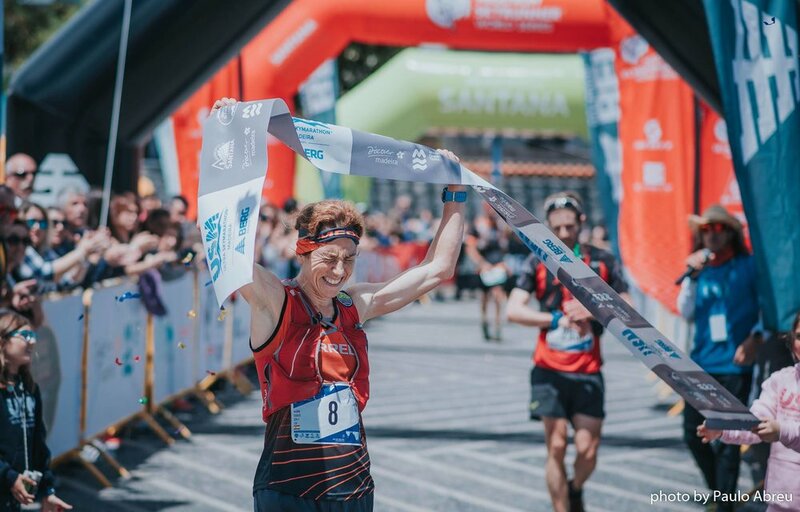 As a trail runner she won gold at the Trail Running World Championships in Penyalogosa in 2018 in Spain, which involved an 85km course with nearly 5000 metres of elevation gain, and the overall World Series. She has made a change for this year in entering the a staged desert run. She did not take up running seriously until 2009. She was a sportswoman, but grew up with horses and became a professional horse trainer. Running began as a hobby, but then in 2009 she ran her first real race. Some mates offered her the bib number and the rest is history. Why the Marathon des Sables? Why now? Ragna Debats: I like changes and new things. I have known about the MdS for a long time and I’ve always wanted to participate. And then in 2018 I achieved everything that I set out to accomplish in my running and so I began to look around for something else. I can only imagine what it’ll be like out in the Sahara, but it is definitely exciting to be involved. Usually I run something around marathon distance, or marathon plus, say 30 to 60 kilometres, so the distances are not dissimilar. There are other similarities too, in that the MdS is run off-road, over stony and sandy terrain, and of course I am used to being out in nature, exposed to the weather and climate. But there are many differences too. I am used to running up and downhill, whereas the MdS will be flatter and faster. And another big difference is that normally I do not have to carry all my gear, so I am not used to running with weight on my back. Will there be a compound effect in racing over many days? It may not make a difference, so I don’t think it will be a problem, though it can suit all types of runners anyway. I have run plenty of stage races and I’ll be ready for it. I wanted to turn my focus to the Marathon des Sables right at the beginning of the year, but then I had flu and an infection, so I wasn’t able to get going as early as I wanted. In February I raced the Coastal Challenge in Costa Rica (230km over six days with nearly 9000 metres of elevation and a similar amount of descent). It was great, and not too dissimilar to the Marathon des Sables, although I wasn’t as race fit as I needed to be. In the last three weeks I have been doing fast training sessions and have started to train in specific terrain, which I hope will be similar to what we will find in the desert: I have been running along rocky beaches and a sandy dry riverbed. I have also been working on my strength, so I have been running with a 5kg weight, which I will increase before the event. I was expecting it to be harder to run with weight, but in fact it hasn’t been too bad. Nutrition for multi-stage events of this sort is new to me, so I have been discovering a lot. I haven’t tested my food fully yet or made my final decisions – that’s the job for the next few days – but I am confident that I am close to the final plan. What is the most daunting aspect? The only thing I hope is that I won’t end up with a back problem. I have been training with weight, but I have not run with the full equipment that I’ll need for the whole six stages. And I can’t run the equivalent of the whole 7 days to test it. I am really looking forward to running and camping out in the desert, exploring it, and being with other people in the tents in the evening. I am sure it’s going to be a really good experience. Ultimately I am looking for a win. Of course there will be other people out there thinking the same thing, but that’s competition, and if you want to be competitive you have to want first place, not 3rd or 4th. The other thing that counts as success is if I am happy with my race. I hope that when I arrive I will feel prepared, and that during the run I turn out to do as well as I have prepared for. Hopefully both of these things will happen, both a win and that I am satisfied with my race.